Inspiration struck at — where else? — Target while cruising the garden department. I’ve always admired their round Smith & Hawken faux boxwood wreaths, but generally prefer to put the real deal on the front door of my home. But with hair bows clipped onto this wreath’s branches, it suddenly becomes a spacious, easy-to-use hairbow caddy that doesn’t make me want to hurl. 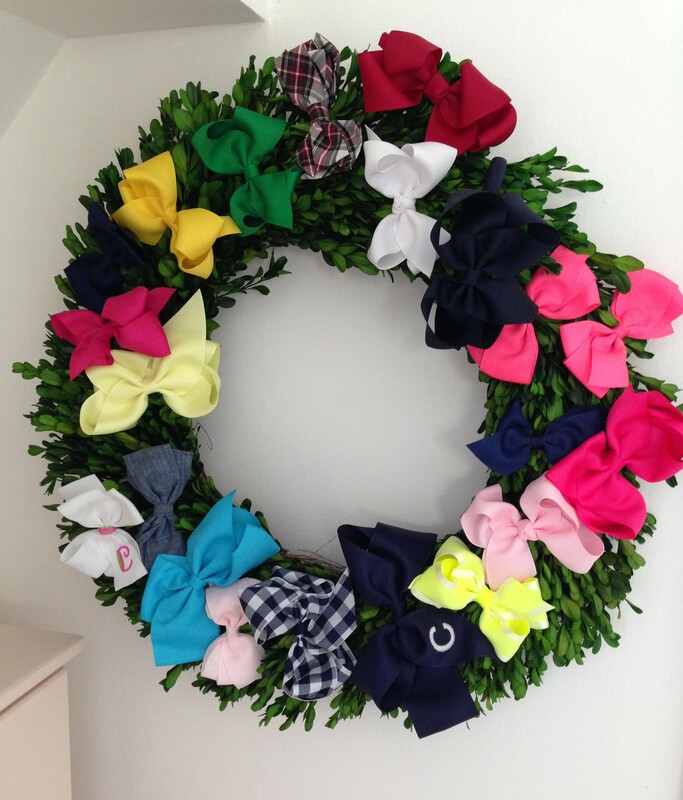 This wreath also brings some refreshing greenery into my toddler’s quarters, which is something I always struggle with. Maybe there exist sweet, gentle children who wouldn’t dream of upending potted plants into their dresser drawers during naptime, but those kids certainly don’t live at my house. Until then, dried or faux greenery are the only sensible (errrr, safe) options for my children’s spaces. So there you have it: hairbow storage and toddler-safe greenery in a single, easily-sourced item. Brilliant indeed!